Nearly 90 adolescent girls and women Chatarpur and Rangailunda blocks are already getting orders for stitching uniforms for schools kids ahead of the academic year. The tailoring training helped the participants learn the nuances of cutting and stitching of different ladies wear and school uniforms. 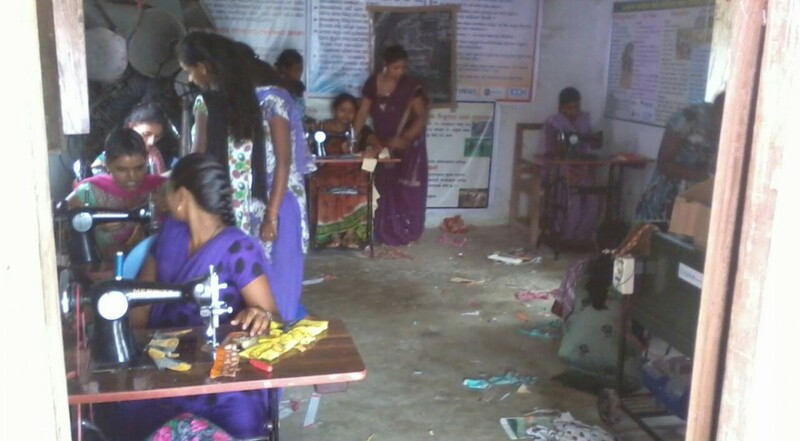 The women are now confident and interested to start their own micro-enterprises for self-employability. “We were happy with the returns and are confident to invest money and expand our activity. We can now earn our day-to-day livelihood without depending upon the income of our spouse, “says B. Mahalakshmi Reddy the villagers of Vikrampur. “We were happy with the returns and are confident to invest money and expand our activity. We can now earn our day-to-day livelihood without depending upon the income of our spouse, “says B. Mahalakshmi Reddy the villagers of Vikrampur. Forty-year-old A. Kumari hails from the Balibagada village in Chikalakhandi of Chhatrapur bock. Like most women in the village, after completing her daily chores, Kumari used to sit idle or pass her time gossiping with other village woman and watching television. She happened to attend a meeting organized by VIEWS, where women were motivated to undertake different skill trainings to help them utilize their time in a productive manner. The participants discussed and concluded that a tailoring training should be organized for the adolescent girls in the village. The locals offered their community Hall to start the training. As many as 37 girls enrolled in the training program and Kumari was one of them. At the end of three months Kumari had acquired the skills of tailoring and convinced her husband to buy a sewing machine for her which he did. Now Kumari is able to stitch different types of garments like the frock, school uniforms, blouse, petty coat, pillow cover etc. She now earns 150 rupees per day on average and has become an example to many other village women.